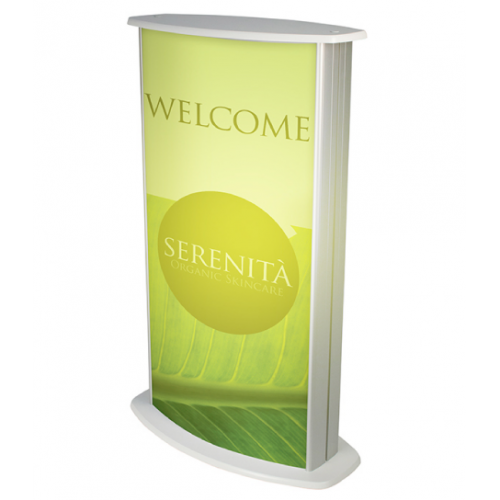 Display counters allow you to establish a professional meet and greet point for your display stand that will help to guide customers in an informative yet sleek way. 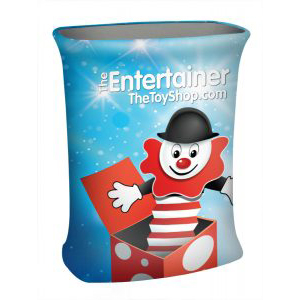 Promotional counters provide internal storage and keep a strong branded presence. 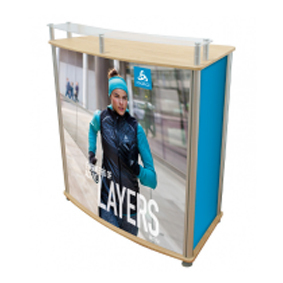 Demonstration counters are the perfect accessory to complement other our selection of portable displays and pop up stands. Display counters are exceptionally easy to assemble and store, and the carry bag makes transport effortless. 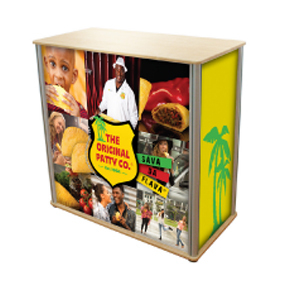 We supply a wide range of pop-up counters available in a wide range of sizes and styles to suit any brand. 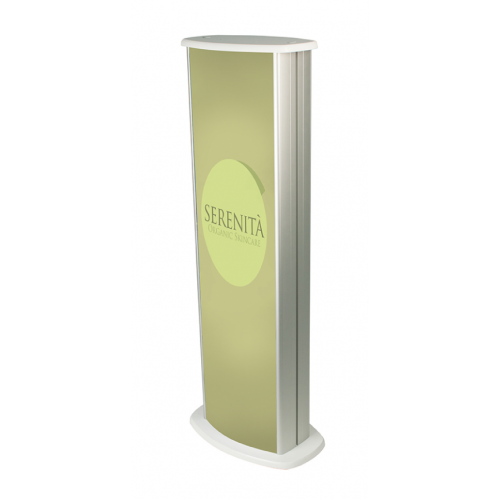 Plinths and podiums offer a sleek and stylish way of showcasing products whilst maximising your branded presence for almost any event. 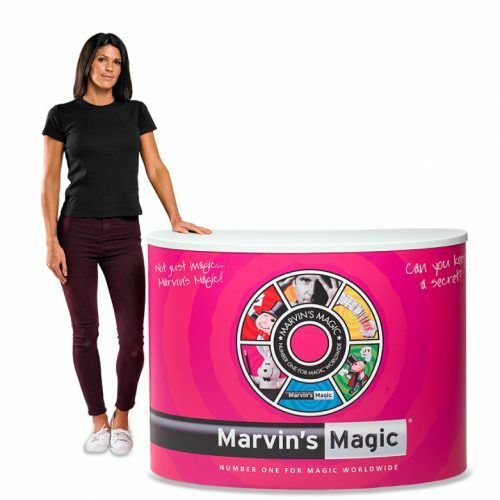 Specially designed instore sampling and demonstration counters to showcase your products and your business for ultimate brand impact. 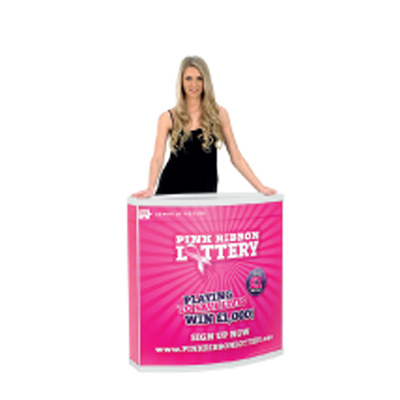 Portable counters can be used for almost any event, they are load-bearing yet are effortlessly assembled and easy to transport between events. 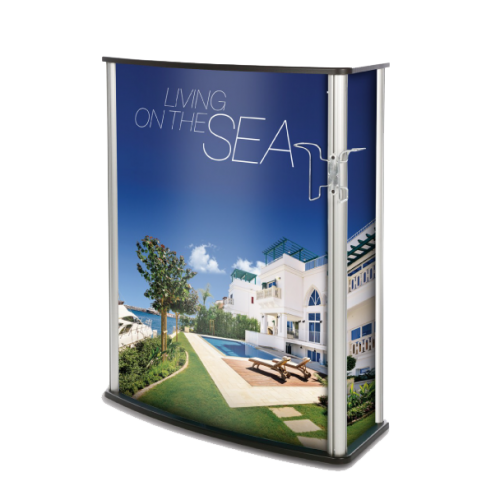 Using LED technology, you can add dimension and draw attention to your exhibition display with a promotional exhibition lightbox. 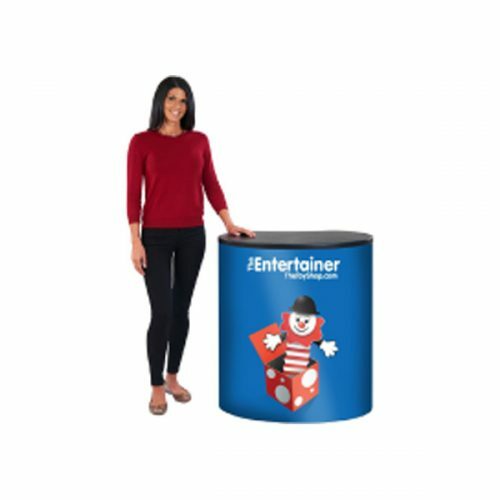 Display plinths and podiums bring extra dimension and depth to your exhibition stand, demanding more attention and generating higher brand awareness. 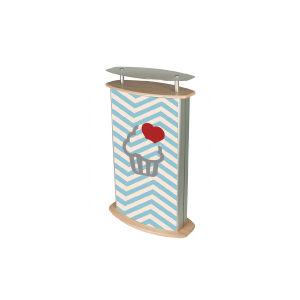 Our range of podiums and plinths are suited to presenting larger products in an inventive and creative way. 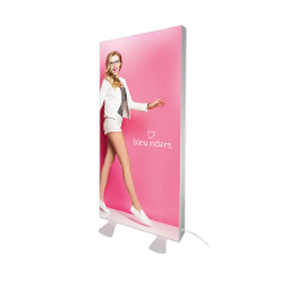 They can be used for presentation evenings, showrooms, product launches and more. 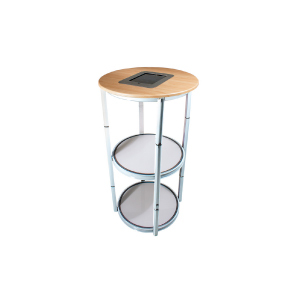 In addition, we also supply a range of columns and lecterns which are great for providing a professional meeting area for your display. 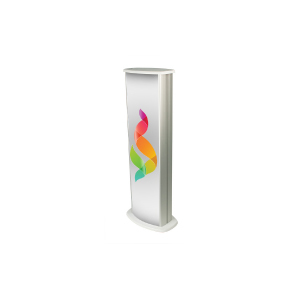 Display podiums and columns can be wrapped with branded graphics, allowing you to customise every aspect of your exhibition to provide continuity and uniformity. 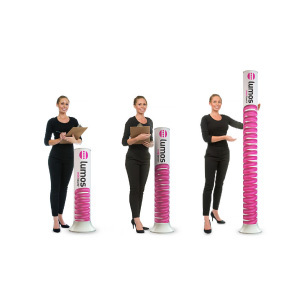 With the ability to load bear up to 75kg, our display plinths are an extremely popular product for businesses looking to display product samples at exhibitions and events. 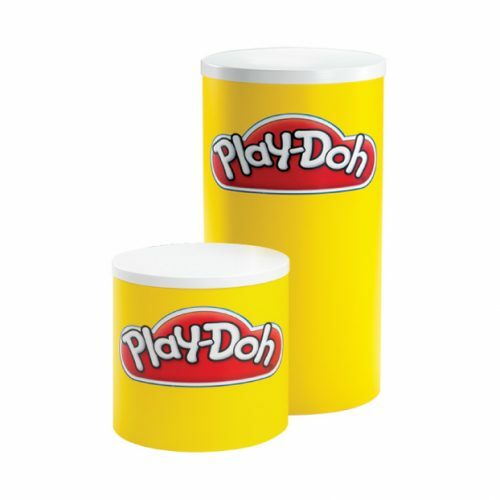 They can hold banners or even large products. 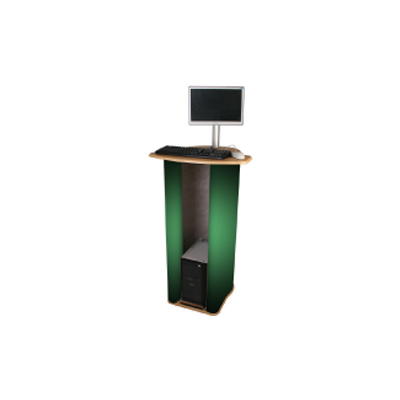 Display podiums are a cost-effective and sleek way of showcasing bulkier items whilst maintaining a branded presence. They easily pack away and can be stored and transported without hassle. Effortlessly assembled without the need for any tools, they can be built by one person in minutes. The strong tambour wrap is the support to the counter and comes with the option of 12 fabric finishes. Add a printed graphic wrap for extra brand presence. Demonstration counters are effortless to assemble. They require no tools and can be built by one person in minutes. 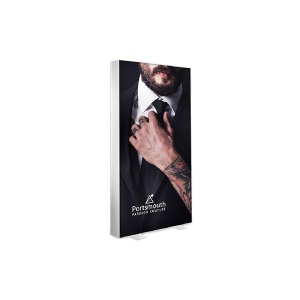 Despite the lightweight feel, they extremely durable and designed specifically to showcase products in a way that will enhance your brand and create interaction with customers. 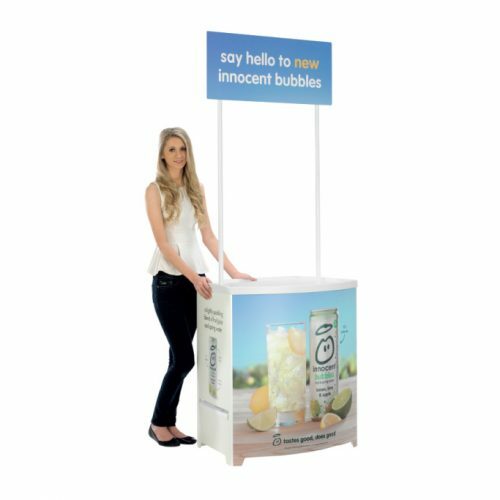 Demonstration counters are ideal for use in shopping centres and supermarkets as in-store sampling or demonstration displays, but they are so versatile that they can be used at events such as trade shows, product launches, corporate exhibitions and fairs. Demo counters offer a sleek and stylish surface for you to showcase what your business is about. 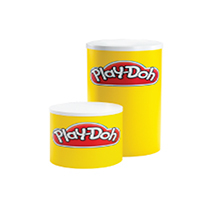 They take up minimal floor space and are a cost-effective solution to product promotion. Highly portable, each demonstration counter folds down in to easy to transport sections that will protect your counter from damage. This also makes them effortless to store away in between events. Optional header panels can be added to add height and visibility to your brand, whilst providing yet more space to spread brand awareness. Counters are manufactured using high quality polypropylene which offers a strong and sturdy demo counter with easy clean surfaces. 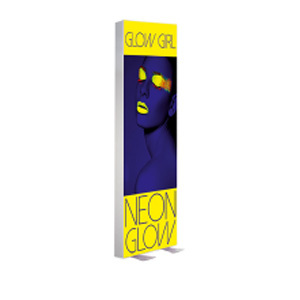 Self-adhesive graphics are directly attached onto the portable counter to create high impact visuals of your brand. 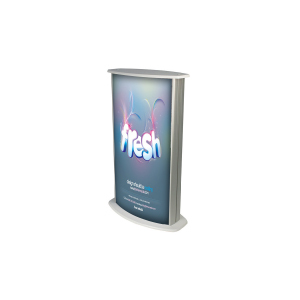 Portable exhibition counters are designed to be lightweight, easy to assemble and high on impact. They are highly portable, effortless to store and can be assembled by one person in minutes, without the need for any tools. 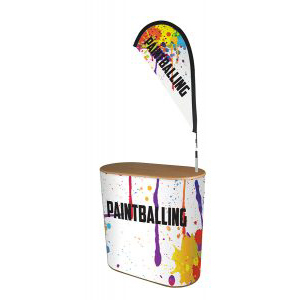 Extremely robust and sturdy, they are load bearing up to 75kgs, meaning they are ideal for showcasing products at events where you want to show off what your business is capable of without cluttering your exhibition stand. 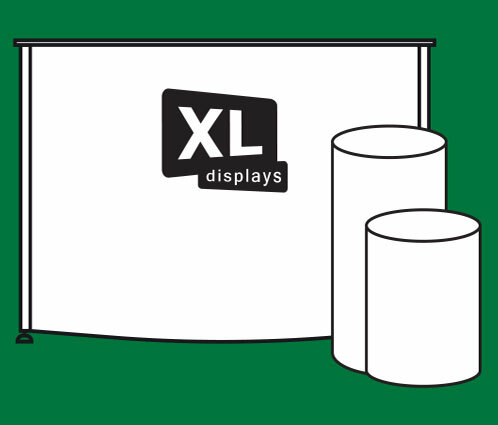 Whether it’s literature, a laptop or a product, display counters are ideal for displaying all of them. 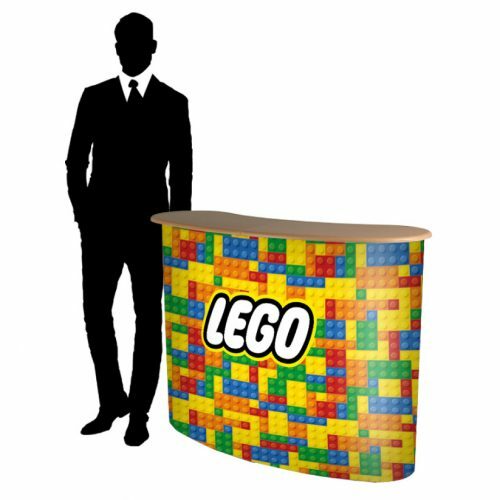 Display counters are perfect for establishing an organised reception area for your display which will bring a sense of professionalism and clarity to your display. Smaller details like this reflect well on your business in the long run. Almost all portable counters come with a space internally for storing marketing material such as literature and bags. 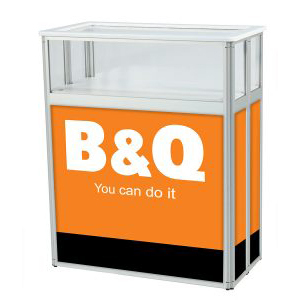 This is particularly useful for keeping your exhibition stand neat and tidy. It also makes storage and transport exceptionally easy. 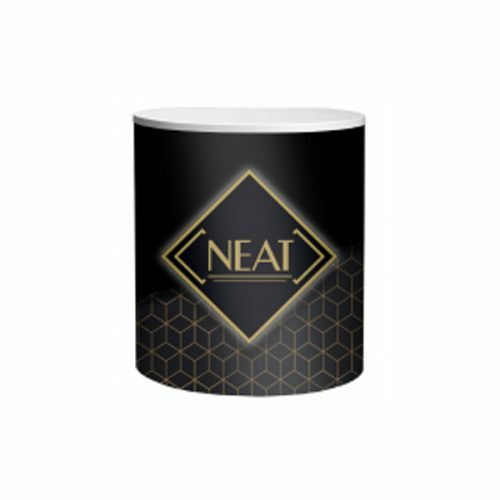 Promotional counters come with the option of a fabric wrap in 12 colour options for events when prominent branding isn’t essential. Choose to add a printed graphic wrap to enhance your brand awareness for event where branding is required. 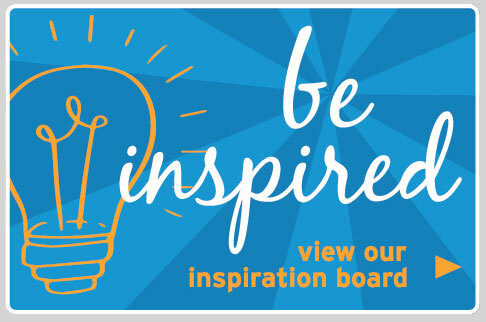 Illuminate bold graphics and highlight key elements of your display with a lightbox. Our range of display lightboxes are available with white or multi-coloured LED lighting, meaning there is a setting to complement any exhibition theme. 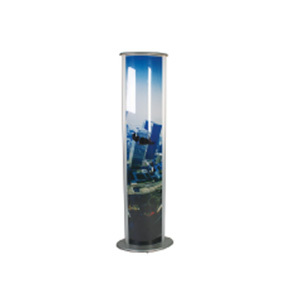 Lightbox podiums are a creative display solution that provide the functionality of promotional counters but with an individuality that will draw attention to your display and set you apart from the crowd. They will draw attention to key products in a stylish and stand-out way. 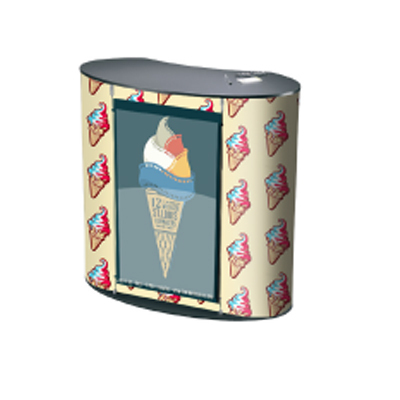 Our most exciting an innovative LED display is the Lumos range. Using Bluetooth technology, the Lumos light towers feature internal combined RGB/White LED strip lighting which can be wirelessly customised to illuminate in up to 16 million colour options. With the ability to sync the LED lightbox to music, you can create a completely interactive and interesting display which will attract attention. Experiential displays are growing in popularity and are the latest display trend because of how effective interactivity is with regards to pulling customers in. 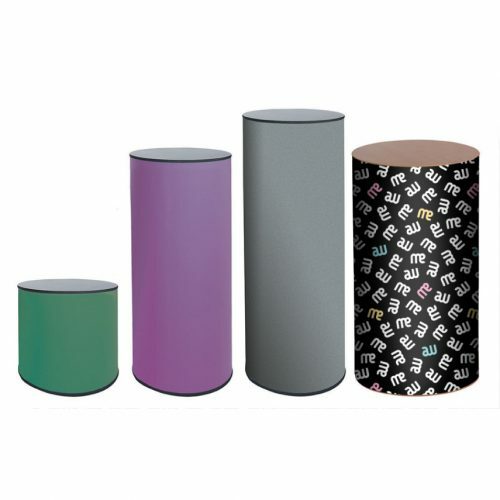 The Lumos lightbox range comes in three sizes; mini, midi and maxi. This means there is a size to fit in any exhibition space. Controlled by an app on your smartphone, the Lumos light towers are a must have for modern exhibitors.